UCA’s Pre-Medical program provides students with a Biology Degree that prepares them for acceptance in a large number of medical schools. The degree requires 20-28 hours of elective credits providing students the opportunity for a wide knowledge base in the medical field, or a sharply focused concentration in a specific area of interest. Most medical schools require students complete a baccalaureate degree; however, some medical schools will accept applicants with a minimum of 90 semester hours of undergraduate college work. Although many medical schools do not require specific courses or a specific major, most students who are successful in advancing into a college of medicine major in biology, chemistry, or general science. 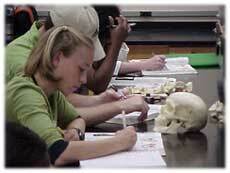 Students are encouraged to review The Road to Medical School and How to apply. Dr. Mike Martin in the Department of Biology is available to answer questions you may have about the MCAT or medical school application process.